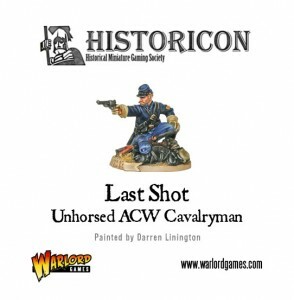 Warlord Games will be selling their "Last Shot" exclusive miniature from Historicon for one day only this Saturday over in their webshop. This weekend we'll have limited edition miniatures available for one day only! For those of you who can't make it to the inaugural Warlord games Day or missed out on Historicon this year, we are making both special miniatures available to buy on the same day as the Games Day - this Saturday the 28th July.